Thank you to Andy for spray painting the frame black so that it matches the rest of our living room frames. 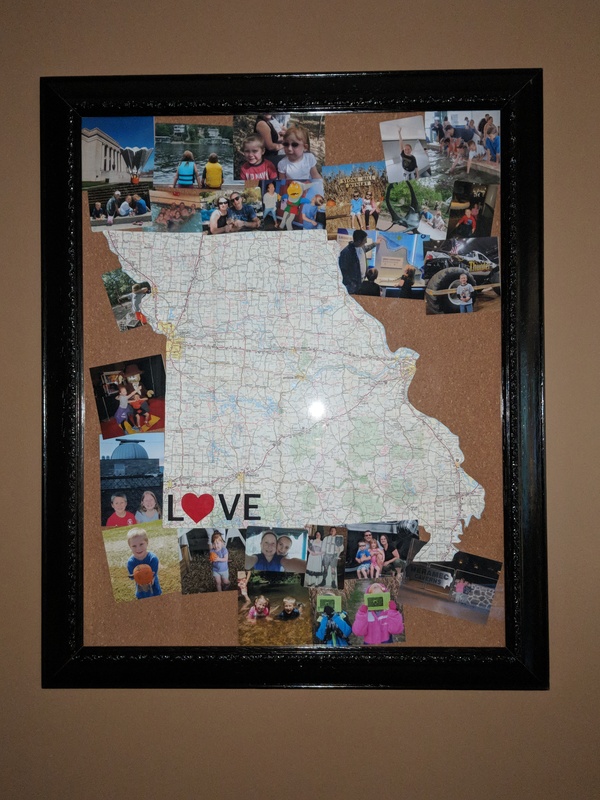 The Missouri map complete with family pictures is done and on the wall. I love it!